People try to build the most robust bot ever and never finish it. Have one goal for the chatbot and try to accomplish only that one goal. Happy building! 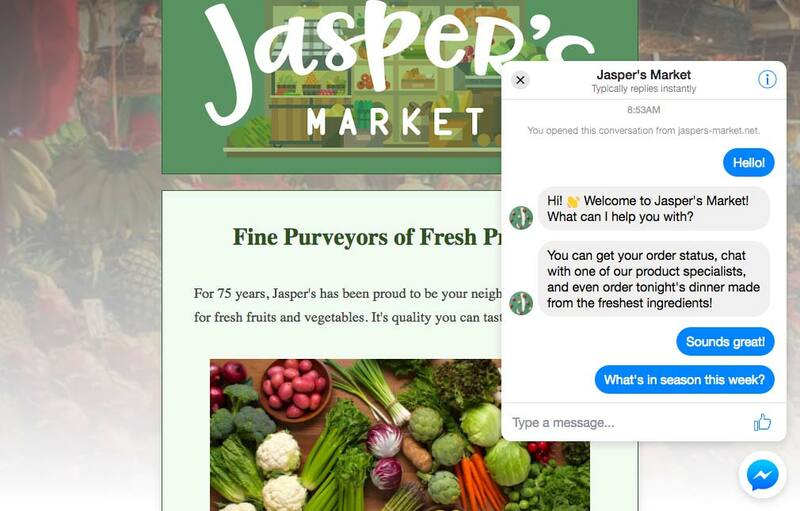 Facebook Messenger chatbots have been a gold mine of opportunity for businesses in every industry, but are truly taking the cake when it comes to the e-commerce market. 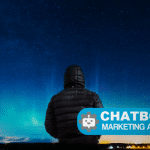 A new term has been coined for those businesses using chat apps to build relationships and generate sales with their audience called Conversational Commerce – and it’s powered by chatbots. 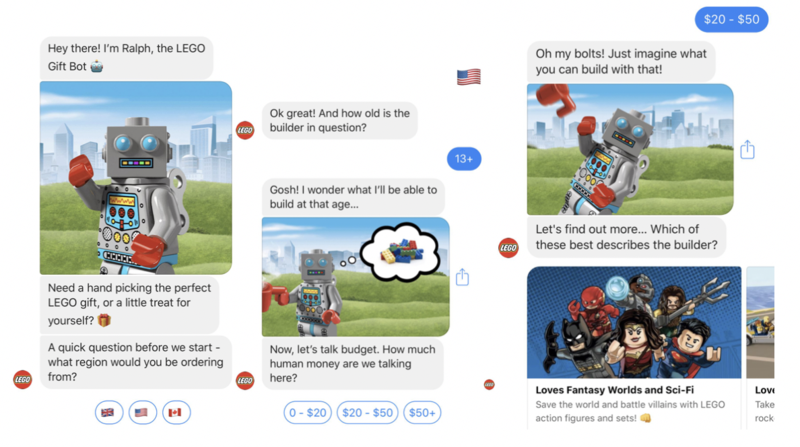 If you’re in the business of selling products and want to get started with Facebook chatbots, this guide will be for you. Here we’ll start with a beginners guide, and soon we’ll update it with more advanced strategies for developing chatbots in the e-commerce space in the coming months! E-Commerce chatbots can do wonders for your business if done right. The limit to the potential, in our experience, is unending. At Conversemart, we were able to drive millions of dollars in sales across our clients over the past year through Messenger alone. Customer Experience: building an amazing pre-purchase experience to prime your customers before selling to them. 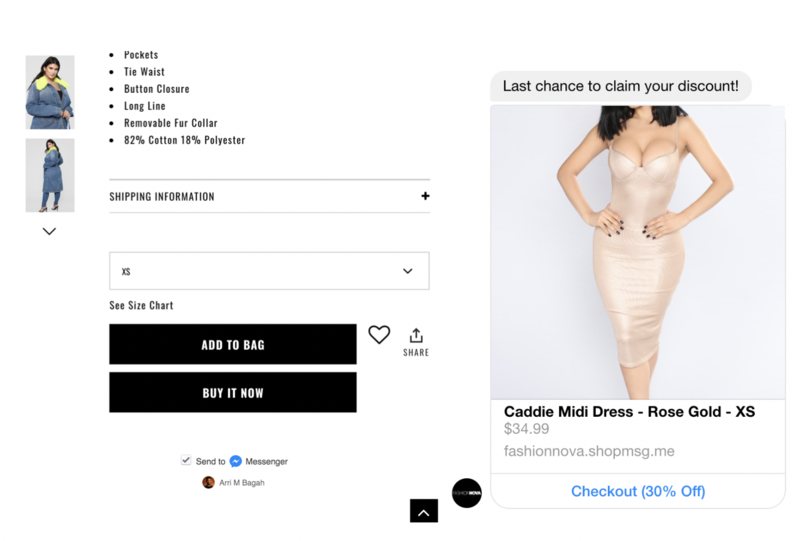 Customer Acquisition: Building a series of sales sequences inside your chatbot or recovering abandoned cart with Messenger. Customer Retention: Having a robust post-purchase funnel that ensures your customer is happy, then upselling them. Customer Service: Using AI to take care of common customer service issues with live chat support to ensure nothing falls through the cracks. 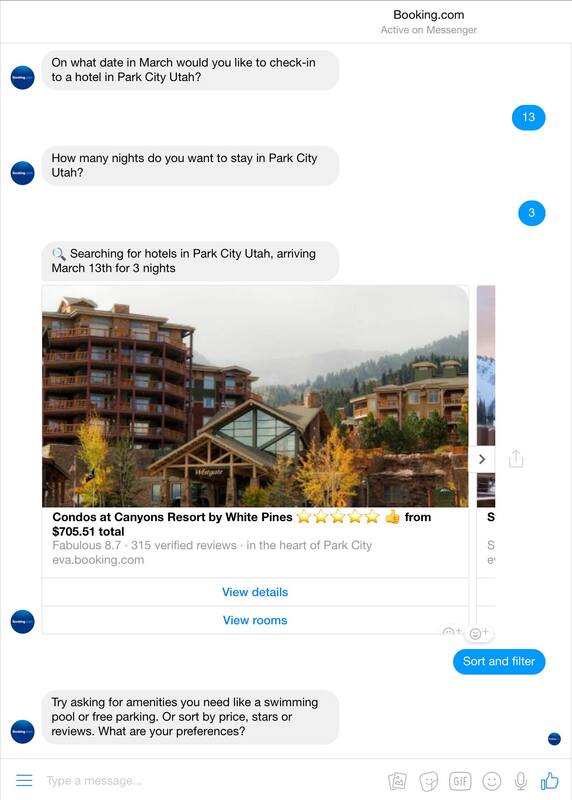 A great example is booking.com bot. This is a question that comes up all the time. And before we get into it, I think it’s very important to talk about what NLP is and how powerful it can be. NLP stands for Natural Language Processing. 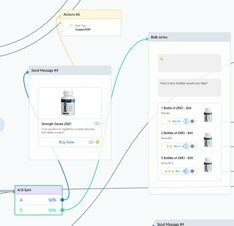 Without going too deep into this rabbit hole, it’s basically the ability for a computer to understand natural language inputs from a user so it can output relevant messages back to the user. It’s what most people know as AI. 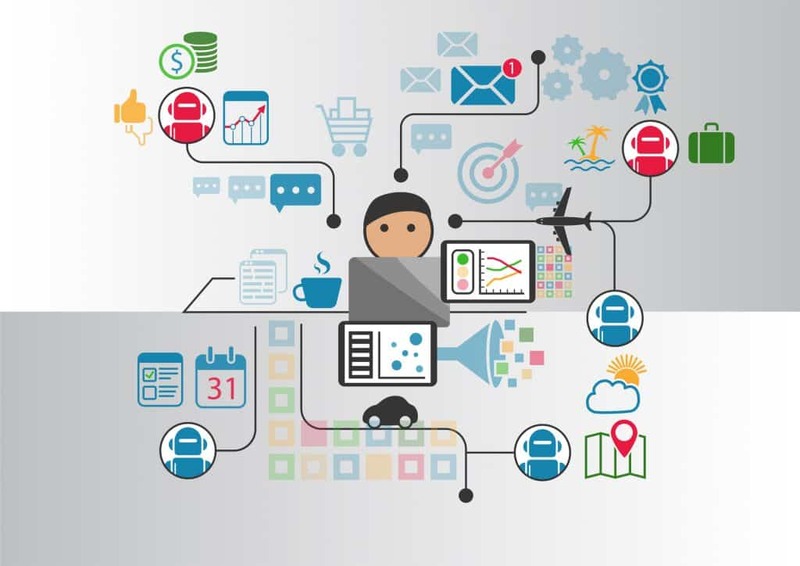 For the computer to process natural language, it breaks it down into intents and entities. The intent is the action the user wants the bot to execute while an entity is a variable that provides clarification or specific context for an intent. For example, if a user says, “are you open today?” the intent is store hours and the entity here is “today” (date and time) to provide context to the intent. Whew! NLP is great if you are optimizing your chatbot for customer service. This can be done by integrating your ManyChat bot with an AI bot on a platform like a Dialog Flow. The AI will serve as a net to catch all the inputs your regular rule-based bot cannot handle. On the other hand, if you are optimizing your chatbot for customer acquisition, a rule-based bot is your best bet. With NLP, your AI bot can easily get off your conversion track because users can type in whatever they want and go through different flows. With a rule-based bot, it’s much harder because the user is on a decision tree that will ultimately lead them to the goal you have set out for the tree. For now, rule-based bots convert the best. The Messenger Customer Chat is a chat window that sits at the bottom right corner of your site. This allows your customers to interact with your business anytime with the same personalized, rich-media experience they get in Messenger. The customer chat is great for customer service but it’s very important to support it with live chat. 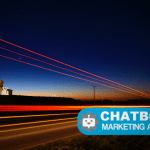 Live chat is often overlooked by marketers when they build chatbots but it is very important to have a human on standby. Let’s say a user is very unhappy after they have received a product. You’d want to redirect them to a live person to solve their issue right away. If you try to solve the issue using a bot, there’s that ever-small chance that the bot could break and ruin things. As we know, 90% of people who have had a bad experience with a chatbot avoid interacting with bots again. Within ManyChat, Messenger Custom Chat lives in the Growth Tools tab and your live person can manage interactions in the Live Chat tab all inside your ManyChat account. The welcome message is, well, you’ve guessed it, the first message a subscriber receives when they interact with your bot for the first time. It’s very important to determine the goal of your Welcome Message. Are you trying to show users relevant product? Collect user information? The Welcome Message needs to introduce your chatbot, tell the user what your chatbot can do for them, and show them how to proceed to the next step. The Welcome Message needs to be short and to the point. This is the user’s first interaction with your business so don’t build a really complex flow that’s super long. Chances are the user will not complete it so keep it short. You don’t want your welcome flow to look like a complete mess. If you don’t know this yet, you can process payments directly inside of Messenger. You can convert your subscribers right where they are. One of the reasons we love ManyChat so much is that they’ve made every feature easy to use, even a complex one such as this. Before we get into how to best set this up, it’s very important to know that Messenger does not replace your store. If your ordering process is complex, send users to your website. 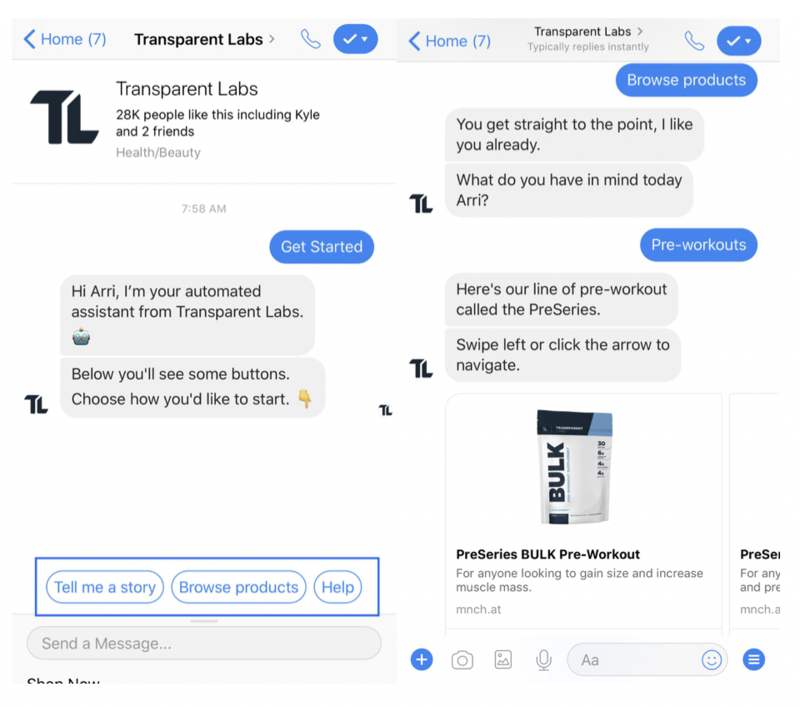 When it comes to displaying products from your store in Messenger, Messenger does not replace your store in this case either. I recommended using no more than 9 collections, with at most 18 products in each collection. The less the better. Only use Messenger for your trending products or new releases. That’s it. Send 50% of the users to site and 50% through in-Messenger purchases. Run this through 1,000 users then choose which one converts best. As marketers, it’s very important to track metrics from open rate, click-through rates, website visits all the way to sales. If you are not tracking, there’s no way for you to improve your results. In-Messenger open rates, click-through rates, and purchases can easily be tracking in ManyChat. When sending your Messenger subscribers to site, make sure to use Google Analytics UTM tracking codes. This will allow you to track a variety of metrics for every link inside your bot using Google Analytics, assuming you have Google Analytics set up on your website. Once your Welcome Message is ready to go, you want to set up the main menu. The main menu lives at the bottom of the user’s screen at all time. The main menu allows your users to navigate in case they are lost or access your most important calls to action. Your first menu item should be the core functionality of your bot. In the example shown above, the Shop Now link allows users to browse products. The second menu item should be a link to your site. More often than not users will want to visit your website. The last menu item should be a setting tab. When opened the settings tab should allow the user to restart the bot, unsubscribe or access your terms of service. This is a great way to hide all the non-pretty stuff. Before we launch our bot, we want to make sure we set up our keywords. Keywords allow you to trigger messages and actions based on certain words or phrases users say to your bot. For example when a user says “stop messaging me” You can add those words to an action that unsubscribes the users. 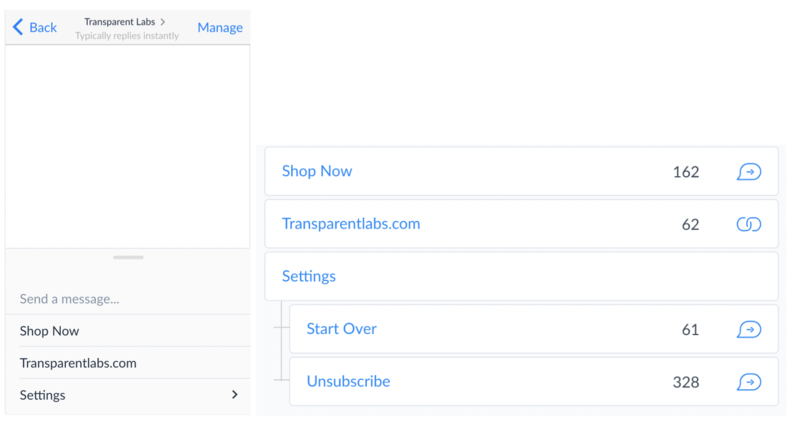 This allows you to automate things like user subscription settings, and some FAQs. Now, you should be ready to launch your chatbot. But before we do, let’s build out a sales sequence. There’s a very low chance that your subscribers will purchase after the welcome message, that’s why it’s important to subscribe them to a sales sequence to increase your conversion rate. After building and testing 300+ bots, we’ve come up with a sequencing strategy that works. This is going to be a 4-day sales sequence so if a user does not convert the first day, you going to send them for the following 4 days. Day one of the sequence is Value: Focus on how your product benefits the customer. Ex: we have feature, feature, feature so you can benefit, benefit, benefit. Day three is Pricing: If they haven’t purchased by now, maybe it’s a pricing issue. This may be a good time to offer a coupon code. Final day 4 is a community: Show them social proof. People, influencers, celebrities using your product. Image carousels work best here. You can interchange the order of the 4-day sales sequence to figure out what works best for your audience. At this point, if they haven’t purchased yet, it’s probably not the right time. This is why broadcasting weekly can be helpful to increase conversions. Your broadcasts should also model the four-day sales sequence. Every week, send broadcasts that fall into Value, Trust, Pricing, and Community and you will convert your list over time. Every time you broadcast, you are strengthening your relationship with your subscriber to take advantage of this strategy. Messenger has 24+1 rule that states that subscription broadcast messages can’t contain ads or promotional materials, but can be sent at any time regardless of time passed since last user activity. Promotional broadcast messages can contain ads and promotional materials, but can only be sent to subscribers who were active in the past 24 hours. After the end of the 24-hour window, you have an ability to send “1 follow up the message” to these recipients. After that, you won’t be able to send them ads or promotional messages until they interact with you again. So always keep that in mind when you broadcast. 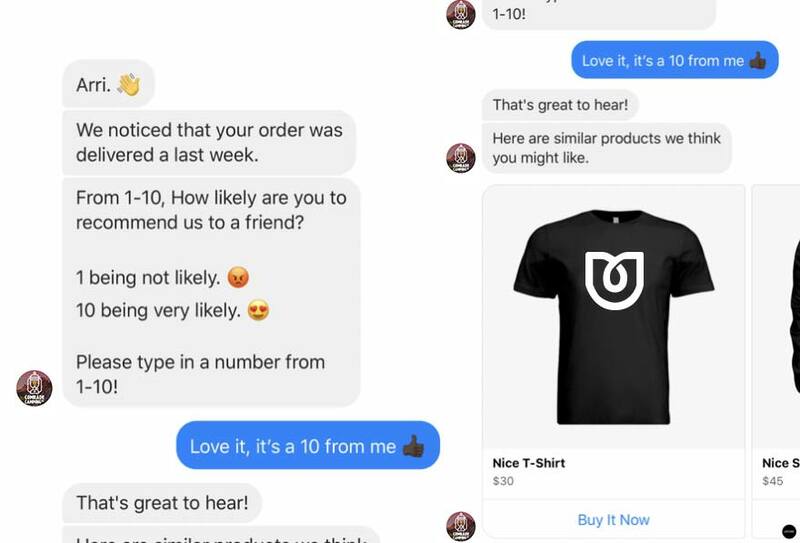 E-Commerce chatbots can be complex so I recommend starting with something small. Most people try to build the most robust bot ever and never finish it. Have one goal for the chatbot and try to accomplish only that one goal, then build on top of it. Version one is better than version none, meaning it’s better to have something that works than something complex that is unfinished. This should be your approach if you are just getting started.